Just when you thought we'd reached peak 2017 fashion when Balenciaga unveiled a 'luxury' version of Ikea's iconic blue plastic bag back in April, Moschino comes along with an even trashier design. 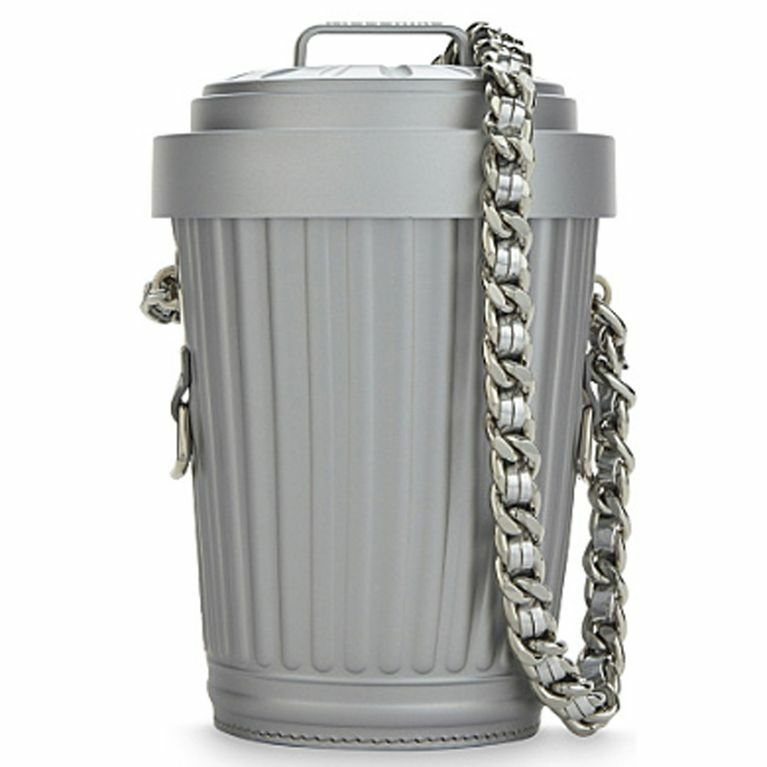 The Italian fashion house - headed up by Jeremy Scott who is famed for his statement designs - are selling a shoulder bag in the shape of a grey trash can. You know what they say, 'one man's trash is another man's treasure' and that seems to have been the inspiration behind Moschino's latest offering. The luxury, Italian fashion house - whose logo-emblazoned accessories transcend seasons, year after year - are selling bin bags with an eye-watering price tag of £615 but these are no ordinary bin bags. No - at risk of sounding like a Marks & Spencer advert - these are luxury bin bags, only available to purchase from Selfridge's and other high-end department stores, designed for housing your prized possessions - not your food wrappers. The Trash Can Bag's exterior is plastic while the inside is lined with a softer sheepskin and features an authentic bin lid which you have to lift on and off to open the bag. The rubbish bag first came under our radars when London DJ-blogger Zoe tweeted a screenshot of the listing to her almost-65K followers. "This is the most jokes bit of fashion I've ever seen and one of the reasons why I bloody love @moschino so much. Get in the bin. ahaha," she tweeted. TBH, can think of a lot of rubbish I'd rather buy with £615 than this.